Hardneck garlic (as opposed to softneck) makes a curlique flower stalk that is delicious eating. 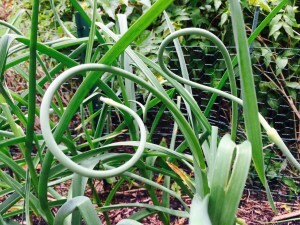 These curlique stalks are called scapes. Right now the scapes are perfect for eating. You can tell because they curl in on themselves. 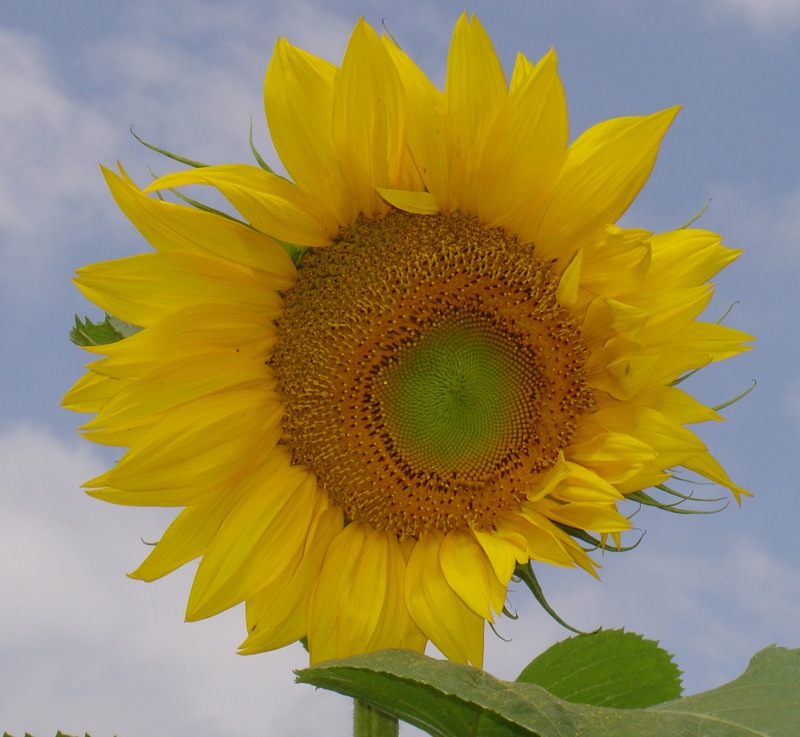 As the season progresses, the stem straightens out and toughens up, and the flower of bulbils emerges. 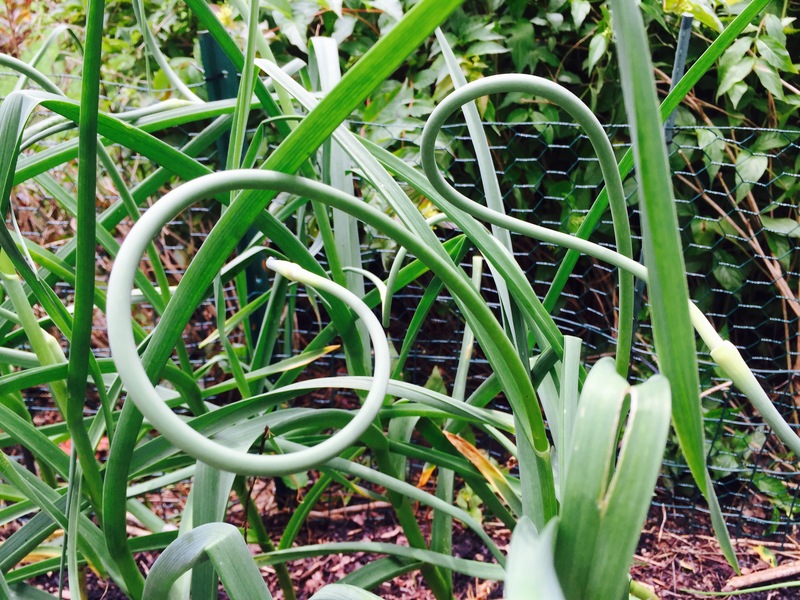 Click on garlic in the topic cloud to the right for recipes and other ideas of how to prepare garlic scapes. This entry was posted in garlic. Bookmark the permalink.